How can we investigate properties and applications of electromagnetic radiation? Topic 3.1: How does electromagnetic radiation shape your world? 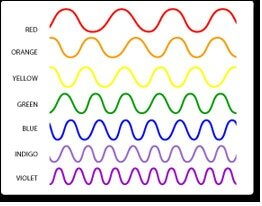 Nov 13: What is Electromagnetic Radiation? Topic 3.2: How can models explain the properties of electromagnetic radiation? Topic 3.3: How does light behave when it encounters different materials and surfaces? Topic 3.4: How does light behave when it is reflected? Topic 3.5: How does light behave when it moves from one medium to another?